Nowy Jam to wytrzymały blat z dużym flexem. Dzięki wykorzystanej technologii deska jest znaczenie stabilniejsza przy lądowaniach. Deska pozbawiona finów, gotowa do katowania parku. Jim's Jam blends the ideal flex pattern with the industry's most durable construction, our Fully Machine Crossover Flex Core. 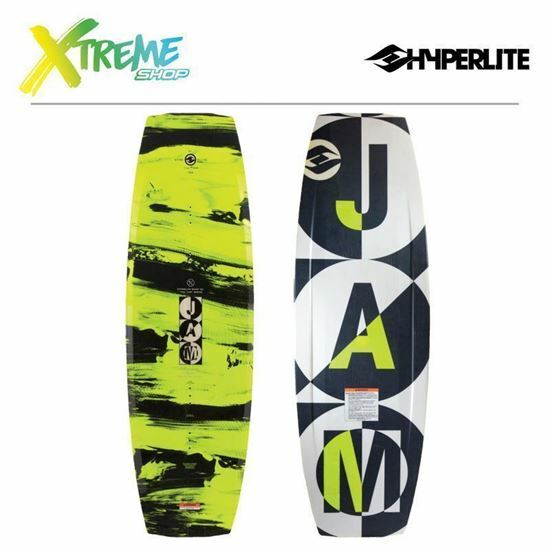 New for 2017, the Jam is wakeboard 2 years in the making, incorporating Jimmy's favorite characteristics; Continuous Rocker, Soft Flex Pattern and a simple base design for solid contact on rails and soft landings. The Jam also includes Hyperlite's first ever Urethane Sidewall and Curved Rail Channels. This sidewall allows for a more solid bond to the core and glass materials and the rails mimic the profile of the board assisting with edge control. The Crossover Flex Core combines wood and foam for the perfect flax surrounded by a bomber construction for maximum durability. Join Jim and the party as we be Jamming! The first pro wakeboarder to take the reins in the R&D lab was Nelson. With more than 20 years of design success he's polished his philosophy and likes to produce easy riding boards that anyone can be comfortable on right away. Working with Murray, LaRiche and Maur, he's helped them create the pro model wakeboards they cherish. 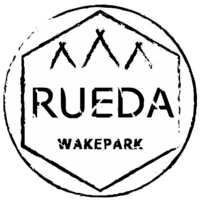 Our Wakeboarding Legend has as much passion for creating boards as he does for riding them. This glass features a configuration of fibers running in three directions for maximum durability while still allowing the board to flex. Combining E-Core and Bio 3 materials to create a lightweight and durable core, perfect for the park.